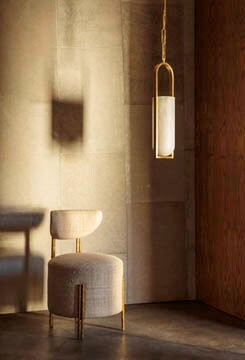 The Effie Table Lamp features signature artisanal details inspired by Kelly’s affinity for richly textured materiality. The sublime and sophisticated Effie Table Lamp features a white linen shade. In both round Tiger Shell and mottled light grey this easy, transitional piece is effortlessly refined. Based on the laid back cool vibes of California’s coast, its luxury carries and organic, blithely spirited voice full of rich texture.